Did you know that our media store carries collections of Easter backgrounds, title slides and countdowns that make designing your worship look for Easter incredibly simple? Well, we do and you can check it all out here. However, if you’re looking for some ideas on how to incorporate these collections, here’s some inspiration for you. Below are my favorite backgrounds from three collections that I’m liking this Easter season. I’ve designed them into song themes to help give you some ideas. For this design, I used the Acrylic 9 and Acrylic 10 backgrounds from the Acrylic Collection by Life Scribe Media. For the top background, I added a border using Inspector and re-positioned the text to fit inside of it. The double layering of motions can be too much, but as long as you keep some of the colors similar, you should be good. Have fun with this! This design is a more “romantic” or poetic feel for Easter. 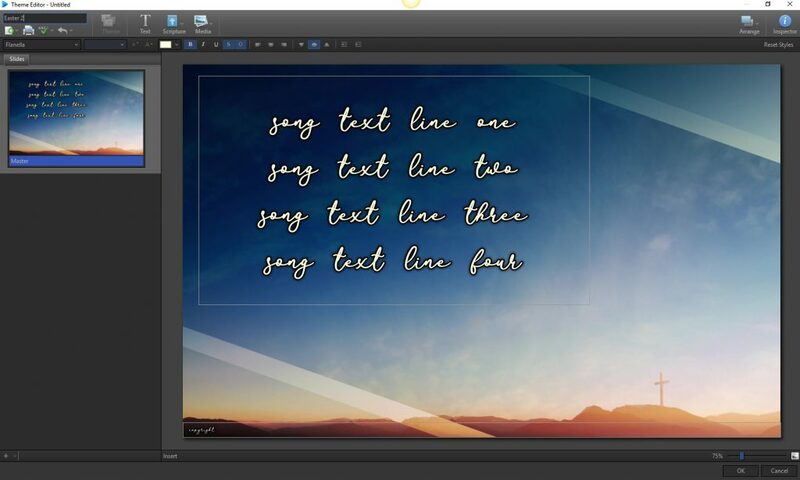 I love this background from the Faith Hope Love Collection by Shift Worship. 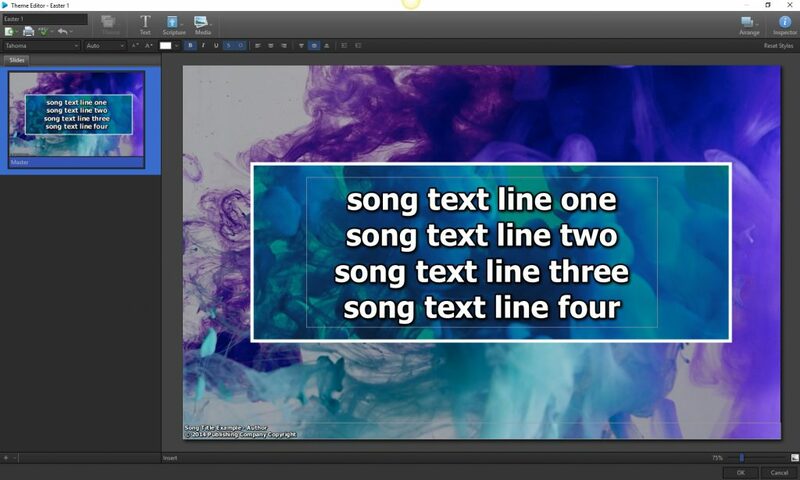 It gives room for text, while still keeping the cross in view. I added some simple cursive font since the background gives the room for a more complex font. Then gave the font a yellow tint. Overall, it’s a simple design that would work well for a classic hymn, like “The Old Rugged Cross”. Lastly, we have a bolder look for Easter. The Resurrection Collection by Motion Worship is a stunning, bright collection that provides a bright background to your celebration of Jesus’ resurrection. With this background, I easily moved the font to the top and selected a stronger font that will complement the stark lines of the crosses below. 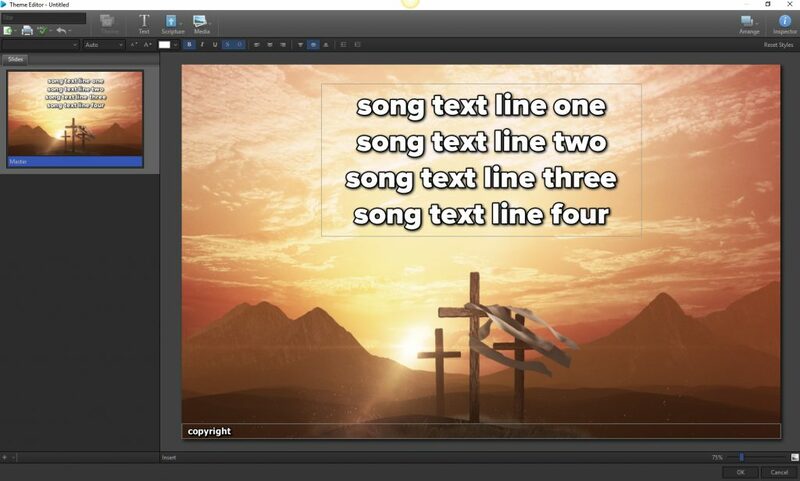 I hope this gives you some ideas for your Easter service song slides! Whichever way you go, know that purchasing a collection can make your life easier on Sunday morning.